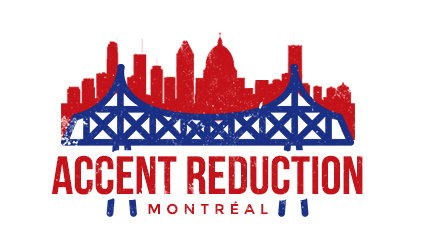 I am a speech-language pathologist who specializes in accent reduction / modification in Montreal. I am licensed by the OOAQ (l’Ordre des Orthophonistes et Audiologistes du Quebec), and I hold my Certificate of Clinical Competence (CCC) from the American Speech Language and Hearing Association (ASHA). Unlike an accent coach, who is not trained in speech therapy, I have developed strategies combining my education and experience in speech-language pathology, linguistics, neuroplasticity, and foreign languages to provide you with a comprehensive approach for the most effective results for modifying your accent. I offer private sessions at my residence, in Chomedey, Laval, where we will work using a personalized, multifaceted approach to retrain your ears in their ability to hear new sounds, your articulators in their ability to produce new sounds, and your brain in its ability to generalize all of this new information so that it can be applied in your day-to-day and professional life. After an initial 1 hour evaluation, which includes a written report with a detailed speech analysis, goals and recommendations, we will discuss the approximate number of accent reduction classes that will benefit you the most. This typically ranges from 10-12 sessions. After each session, I will provide you with a video that specifically addresses the parts of your speech that you will need to work on. This will be a highly useful tool for practice that is crucial to your success in reducing / modifying your accent. Practicing daily for at least 20 minutes will be a very important component to your success, as it will not only reinforce what we have been working on, but it will significantly help to carryover and generalize all of the newly learned strategies into your life outside of our sessions. Clients can expect to begin to see results as early as 1 to 2 sessions. Since I am a licensed speech-language pathologist in the province of Quebec, my services are reimbursable by most insurance companies that offer speech therapy coverage. I provide you with a receipt at the end of every session which can then be submitted to your insurance provider. I also encourage anyone that is interested in accent reduction training to click the charcoal tab on the right of your screen to leave me an audio message so that I can learn more about you. Hearing your voice will also give me a better idea of how many sessions you would benefit from. Do you have a great question about speech patterns or accents that you would like answered? Write to me with your question and I will do my best to answer it for you in my blog!